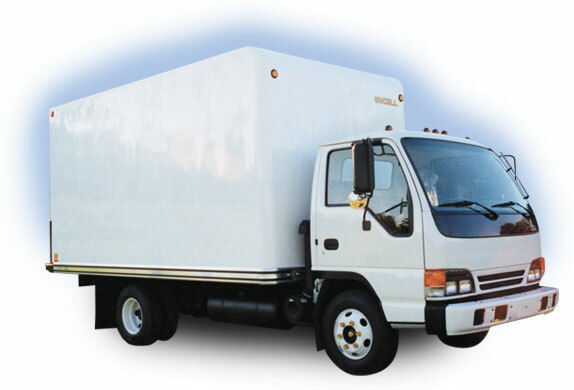 The most practical body in today’s industry, the low-maintenance Unicell is easy to repair, beautifully shows off company graphics, and is built tough enough for heavy loads without increased weight. Handling GVWR’s up to 32,000#, these workhorses are spec’d with extra heavy duty features such as 3″ structural steel crossmembers, wider rub rails, and front crash plates. 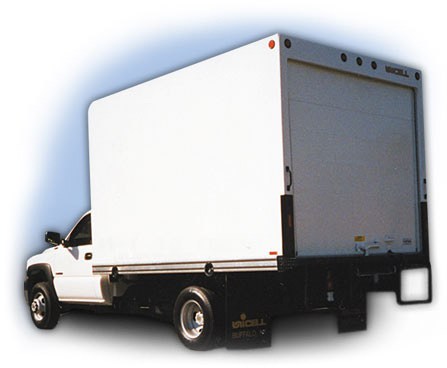 Add these to the obvious aesthetic features of Unicell’s fiberglass bodies and you have a unique and good-looking, yet durable dry freight van. And all Unicell bodies are backed by a five year limited warranty. 10' 79" 85" 91" 97" 87" 96" 102"
11' 79" 85" 91" 97" 87" 96" 102"
12' 79" 85" 91" 97" 87" 96" 102"
14' 79" 85" 91" 97" 87" 96" 102"
15' 79" 85" 91" 97" 96" 102"
16' 79" 85" 91" 97" 96" 102"
17' 79" 85" 91" 97" 96" 102"
18' 79" 85" 91" 97" 96" 102"
20' 79" 85" 91" 97" 96" 102"
22' 79" 85" 91" 97" 96" 102"
24' 79" 85" 91" 97" 102"
26' 79" 85" 91" 97" 102"
28' 79" 85" 91" 97" 102"
NOTE: The body length, width and height are dependent on the wheelbase or cab to axle measurement of the chassis. Not all chassis are compatible with the dimensions listed. Please check with Unicell to determine the correct body specs for your chassis.